Yale has a long and proud lift truck history dating back nearly a century. Chicago Industrial Equipment carries on the Yale tradition of excellence by offering a broad selection of Yale forklifts for sale. Chicago-area business owners know they can count on us to always deliver top-quality Yale forklifts at affordable prices. That’s what has made us one of the most trusted lift truck sources in the region! Yale manufactures all types of forklifts and lift trucks, including pallet trucks, order selectors, reach trucks, very narrow aisle trucks and more. Chicago Industrial is your headquarters for cushion and pneumatic tire Yale forklifts for sale that operate via electric motor or internal combustion engine. With more than 35 years of industry experience, we can help you select the best Yale forklift for your specific business applications and budget. When it comes to a Yale forklift, a used machine can provide excellent value for your heavy equipment dollar. You’ll find our large fleet of more than 500 lift trucks includes an assortment of late-model, low-hour used Yale forklifts for sale in the Chicago area. Visit our Rockdale, IL facility that features more than 75,000 square feet of lifts on display to find the perfect used machine for you. Our property also includes a reconditioning shop where we expertly restore used lift trucks to like-new condition. In addition, we sell “as is” equipment that previously served the equipment market. And if you can’t find what you’re looking for, we’ll be happy to locate it for you. Chicago Industrial offers fast and flexible financing to make your Yale forklift purchase even more affordable. We’ve partnered with Direct Capital, a nationwide lender providing a range of financing options that can be customized to your business needs. You can apply online at your convenience, and you’ll receive a response within 24 hours. You don’t have to be in the Chicago area to buy a Yale forklift from Chicago Industrial. You’ll find our complete inventory right here on our easy-to-navigate website, so you’re free to shop at your convenience. When you’re ready to move forward, simply give us a call or fill out and submit our online contact form, and we’ll be happy to provide a no-obligation price quote. We can ship our equipment to locations throughout the U.S., Canada, Mexico and even around the world. Don’t put off getting the Yale forklift that can take your business to new heights. 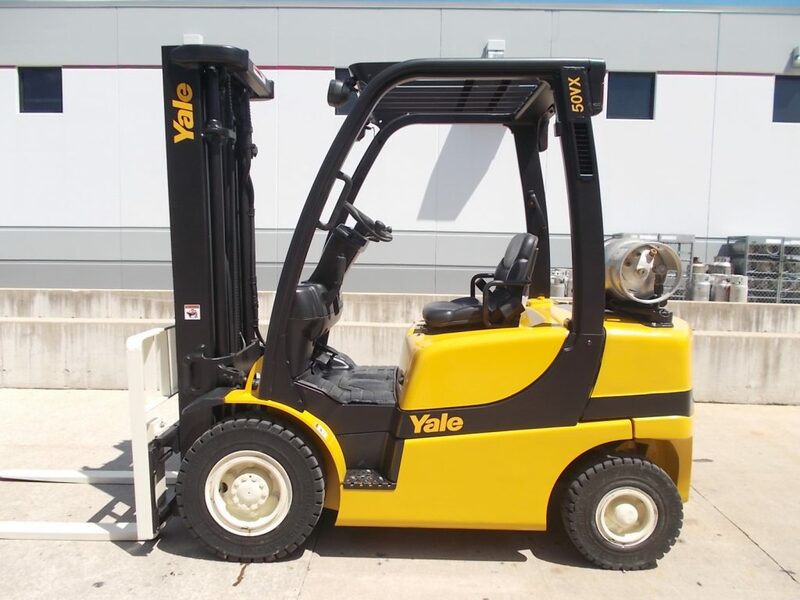 Browse our current inventory of Yale forklifts for sale today!